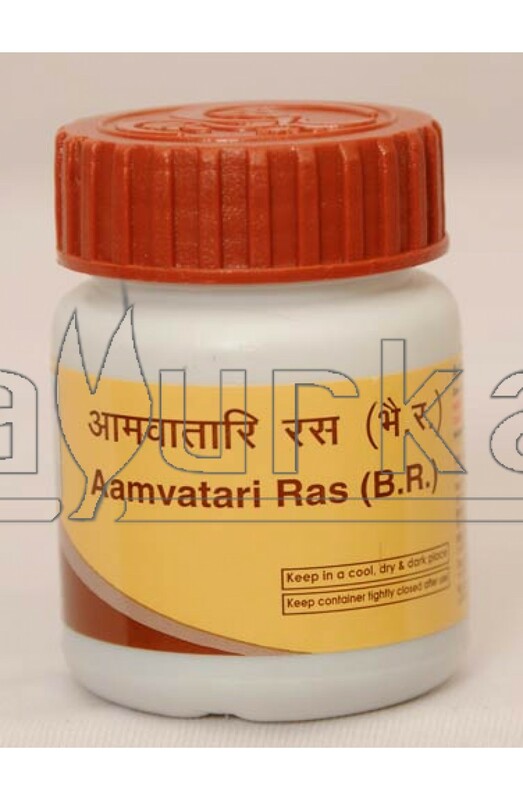 Aamvatari Ras from Patanjali is an Ayurvedic medicine used in treatment of Rheumatism (Ryumetoid arthritis) and arthritis. The herbs present in Aamvatari Ras are anti-inflammatory and rich in calcium. This helps in strengthening the bone structure, reducing inflammation, reducing joint pain and improving flexibility. Aamvatari Ras is also helpful in flushing out the toxins from our body. 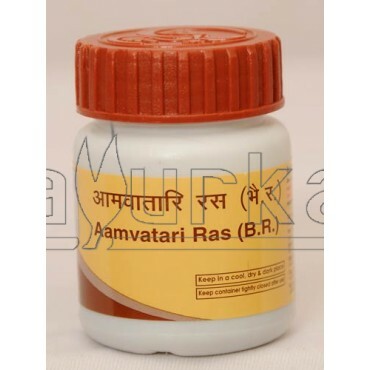 Direction of Use: Take 1-2 tablets of Aamvatari Ras twice a day, after meals with water or milk or as directed by physician. Packing: Aamvatari Ras from Patanjali is avaliable in a pack of 20 gms. Caution: Avoid taking during pregnancy and lactation.